We strive to create an environment where every student is actively engaged in building his/her own mathematical understanding. There are high expectations for all students to reason, explain, apply, and connect mathematical knowledge through a variety of rigorous learning tasks. Teachers act as facilitators and implement equitable mathematics experiences that allow students to explore, communicate, and represent their ideas in different ways as well as value the ideas and thinking of all learners. In the Charlottesville City Schools, we believe that instruction in mathematics is best accomplished within a comprehensive curriculum. This assures that all children have equal access to grade level standards and curriculum. The CCS Mathematics Department offers programs designed to meet the needs of all students. A student may select any course in the sequence provided he or she meets the prerequisites. The department suggests that parents and students confer with a math teacher or math specialist for recommendations regarding appropriate course selection. Ninth-grade students are placed in high school math courses using a variety of performance indicators and teacher recommendations. Students planning to attend college should select a sequence which includes Algebra II or above. 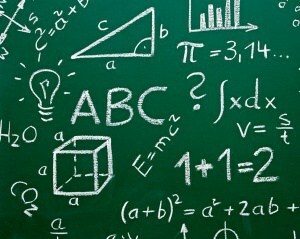 The successful mastery of Algebra I is widely considered to be the gatekeeper to success in the study of upper-level mathematics. “Algebra readiness” describes the mastery of, and the ability to apply, the Mathematics Standards of Learning, including the Mathematical Process Goals for Students, for kindergarten through grade eight. The study of algebraic thinking begins in kindergarten and is progressively formalized prior to the study of the algebraic content found in the Algebra I Standards of Learning. Included in the progression of algebraic content is patterning, the generalization of arithmetic concepts, proportional reasoning, and representing mathematical relationships using tables, symbols, and graphs. The K-8 Mathematics Standards of Learning form a progression of content knowledge and develop the reasoning necessary to be well-prepared for mathematics courses beyond Algebra I, including Geometry and Statistics (VDOE, 2016). See “Math” in Program of Studies.